As a physician, Dr. Epstein is passionate about helping his patients find authentic and lasting healing. As a speaker and teacher, Dr. Epstein appears worldwide to help those seeking healing find the right “healing soup” to effectively address their concerns. As a speaker and teacher for professional healing arts practitioners, Dr. Epstein has taught holistic medicine and counseling on the undergraduate and graduate levels and has trained psychotherapists, social workers, mental health professionals, physicians, nurses, medical students, yoga teachers and other health care professionals in the art & science of Mind-Body Integrative Medicine. He is a sought after speaker and presenter at professional conferences and conventions, especially for Naturopathic organizations. Another passion for Dr. Epstein is to offer services as a professional mentor for students and practitioners of the healing arts. He is very passionate about helping all who practice healing arts to become more integrative and holistic in their approaches, regardless of their field of specialty. 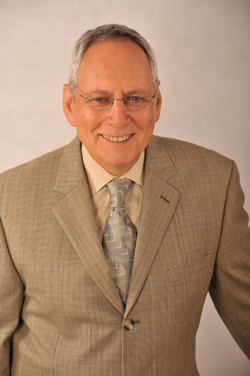 Dr. Epstein received his ND degree from the National College of Natural Medicine in 1984, followed by a post-graduate residency program in preventive medicine and lifestyle counseling. Since taking a course in 1984 called, "Healing, Consciousness and Transformation," Dr. Epstein has been living the question "Where's the Healing?" He has come to know that being "holistic" goes beyond finding the right supplement, botanical extract, homeopathic remedy or trigger point. It is being able to contact the deeper essence of a person, whether you call it the spirit, soul or vital force. In contacting this deeper essence, the holistic physician is able to tap the person's true source of healing, and initiate a process that includes both healing and transformation. Before beginning formal medical training, Dr. Epstein served as a Montessori school teacher. There he came to understand that true learning is a natural process and occurs spontaneously by creating an environment that fosters investigation. He brings this powerful truth to his work as a physician and teacher: healing is natural and happens when a healing environment is created and cultivated in one’s mind, body, heart and soul. An important part of Dr. Epstein’s journey occurred when he co-founded and served as co-director of the Israel Center for Mind-Body Medicine near Tel Aviv, Israel. Dr. Epstein emphasizes the clinical application and integration of all of these mind-body, whole-person oriented therapies with holistic counseling and natural medicines into his multi-disciplined, relationship centered approach to healing. This distinctive "healing soup" philosophy is especially empowering and effective for people with stress related disorders, immune system issues and chronic degenerative diseases.